I have over Six hundred 8x10 pictures of cars that raced in 1953- 54 on this track. Doug. I wonder if this was the place I attended a couple times as a youngster with my parents. I just barely remember it (I was only about 5 or 6) but my folks talked about going to the races at Mendon. But since Mendon never had a track to my knowledge I assume this must be it. I have a keen interest in the area tracks I attended as a kid (Galesburg, Hastings, Kalamazoo, Jackson) especially Jackson and Hastings since they are long gone. Any pictures would be precious. 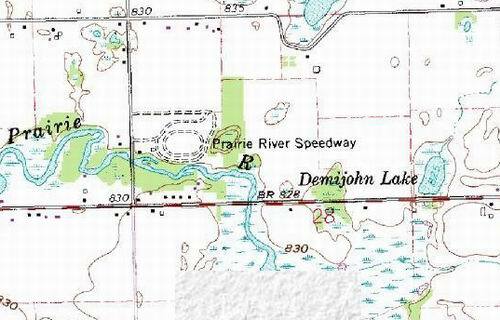 I attended this track in the early 50''s with my father,Duane Jones, grandfather, Herman Miller and uncle,Fred Moore. I was disappointed they closed it and the four owners could not agree on reopening it. 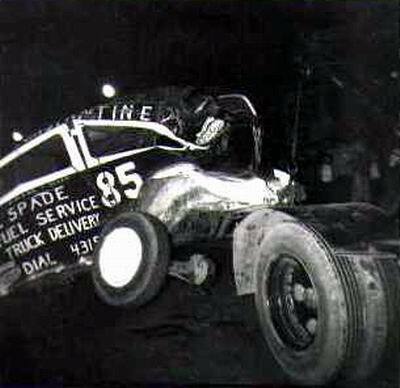 I have slides, somewhere dated October,1954 depicting racing from behind the guardrail. Anyone interested turbo30a@yahoo. com and I''ll start digging. My dad, Duane Jones, grandfather, Herman Miller and uncle, Fred Moore took me to the races there in the early 50''s. Somewhere in a box I have slides dated October ''54 showing some track action and guardrails. If anyone out there is interested, please e-mail at turbo30a@yahoo. com and I''ll search for slides. Always disappointed the track was closed and owners couldn''t get it together and reopen!!!. The track is on the north side of M-86. And the track was east to west. It actually ran paralell to M-86. My father used to watch the races there quite often. He took me there when I was quite young. But I do remember the track being paralell to M-86. I think there are a number of houses on the site now. 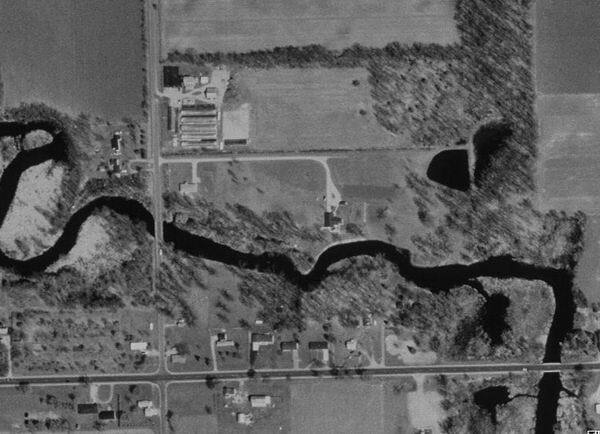 The speedway was located between the towns of Nottawa and Centerville on the north side of M-86.